Infineon's launch of the sensor development kit can significantly reduce the design of the difficulty, help to shorten the development time and reduce system costs. Infineon Technologies, Inc. introduces the new Hall sensor TLE4922 and the "Speed Sensor 2Go" design kit. The TLE4922 is designed for industrial and automotive applications. These two applications are critical to measuring speed and reliability requirements, such as crankshaft and gearbox speeds for detecting two-wheeled and tricycle. Industrial applications include speed detection of production and building automation, as well as control of motor units. TLE4922 improves speed measurement reliability and reduces system cost The TLE4922 Hall sensor can reliably measure changes in the magnetic field and can be used to detect the speed of various wheels, such as a magnetic encoder wheel or a ferromagnetic gear wheel. In addition to the flexibility of the application, TLE4922 can also reduce system costs. For example, this sensor can be configured with a simple, cost-effective magnet with a feedback bias, while providing high air-gap performance and mobility accuracy. The sensor is also extremely durable, can withstand vibration and air gap, but also in the maximum magnetic field range (+/- 400 mT) accurate detection speed. Extensive range of operations simplifies circuit design, improves design stability and flexibility, helps simplify sensor installation, and reduces system cost. The TLE4922 is particularly suitable for use in TIM (Rotate Standalone) configurations to replace passive VR (variable reluctance) sensors within motor and two-wheeled and automotive wheels. Compared to the VR sensor, the TLE4922 can accurately measure the speed at 0 Hz. In addition, it also has excellent jitter behavior, and provides short circuit, overheating and reverse voltage and other protection, and has good electromagnetic compatibility (EMC) and ESD tolerance, can be used in harsh environments. 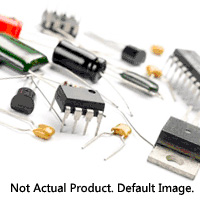 The sensor operates from a supply voltage of 4.5 V to 18 V and a wide temperature range of -40 ° C to 155 ° C; in a 4-pin SSO package.You can buy these electronic components from electronics-chip.com. The "Speed Sensor 2Go" kit simplifies sensor design The Speed Sensor 2Go kit helps developers easily and quickly evaluate the TLE4922, which allows you to quickly view the TLE4922's performance in a variety of applications and complete the first measurement in minutes. The Speed Sensor 2Go kit contains the sensor module, the interface panel, and the cable. The sensor module incorporates the TLE4922 sensor and the feedback bias ferrite magnet. The interface board has two built-in XMC microcontrollers: one for triggering and the other for debugging. The USB cable is used to connect the computer. GUI-based evaluation tools can be recorded and graphically displayed speed data. In addition to the "Speed Sensor 2Go" kit, Infineon also offers other software development tools for analog sensors, such as the System C model or special assessment tools.